I’m Kay Adams, director of the Therapeutic Writing Institute and the Center for Journal Therapy. Since 1985 my businesses have stood for excellence and innovation in the field of therapeutic writing. We’re especially known for our effectiveness in training the next generation of practitioners in therapeutic writing. Part of that effectiveness is that I’m both visionary and pragmatic. I know that the best training and education must also be integrated with actual, practical knowledge on how to take it to the marketplace. That’s why I’ve incorporated a strong business development component in the TWI curriculum. Students tell me that they’ve never had a human services professional training program that required classes like marketing, curriculum development and other pragmatic courses to help you earn as you learn–and graduate with a practice already begun. I’m also well-known for my giftedness in creating community. Group members and workshop participants frequently use words like safe, deep, authentic, connected, intimate, vulnerable, transformative to describe their experiences. On-line learners report feeling unexpected levels of “high-touch” connection, considering the “high-tech” context. I also know a lot of really great people in this field. We’ve studied and taught together, we’ve co-authored workshops and books, we’ve shared collaboration, friendship and respect for the last three decades. Many of them are core and regular faculty at TWI; others make guest appearances from time to time. The Therapeutic Writing Institute feels like a marvelous synthesis of all these years of pioneering work. We’re creating something here that is unlike anything in the field: An experience of grounded, visionary learning, and a comprehensive, curriculum-based online credentials training program that covers core theory, ethical practice, professional development and supervised practice. All brought to you by a world-class faculty who literally wrote the books! I think it’s among the best work I’ve ever done. I hope you’ll join us. Kathleen (Kay) Adams is one of the most prominent and established voices in the field of therapeutic writing. She is an author, psychotherapist, registered poetry/journal therapist (PTR) and master mentor/supervisor (MM/S) whose gift and life mission is sharing the power of writing with all who desire self-directed change. Kay is the author/editor of 12 books on the power of writing, including the best-selling Journal to the Self. In 1985, at the beginning of her graduate training, Kay taught her first journal workshop. Three years later, at graduation, she founded the Center for Journal Therapy. It has grown into an international training and consulting company offering workshops, on-line classes, certification training, retreats, intensives and individual consultations on the use of writing in therapy, health and wellness, coaching, and spiritual direction. She has worked as a journal therapist in private practice, in-patient, and intensive out-patient psychiatric programs. Kay is adjunct faculty in the Professional and Creative Writing Master’s program at University College at the University of Denver, where she teaches Writing &amp; Healing. 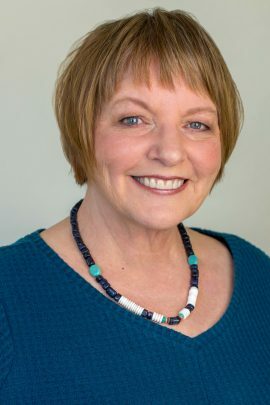 Kay holds an undergraduate degree in journalism from Colorado State University (1972) and a Master’s degree in psychology and counseling from Boulder Graduate School (1988). She has been a licensed professional counselor (LPC #770) in Colorado since 1994.